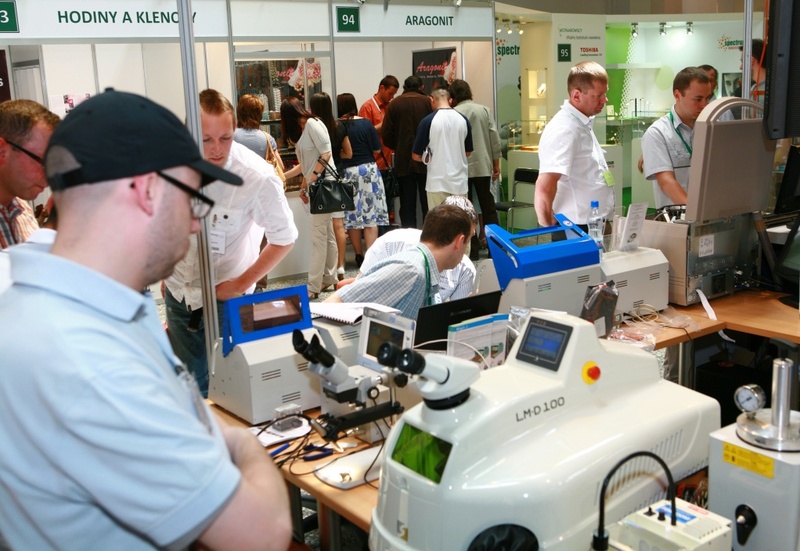 More than 150 exhibitors from 8 countries, a record number of visitors and the glimmer of summer jewellery – Krakow has just hosted the fourth edition of Summer Trendshow for Jewellery and Watches JUBINALE 2011. 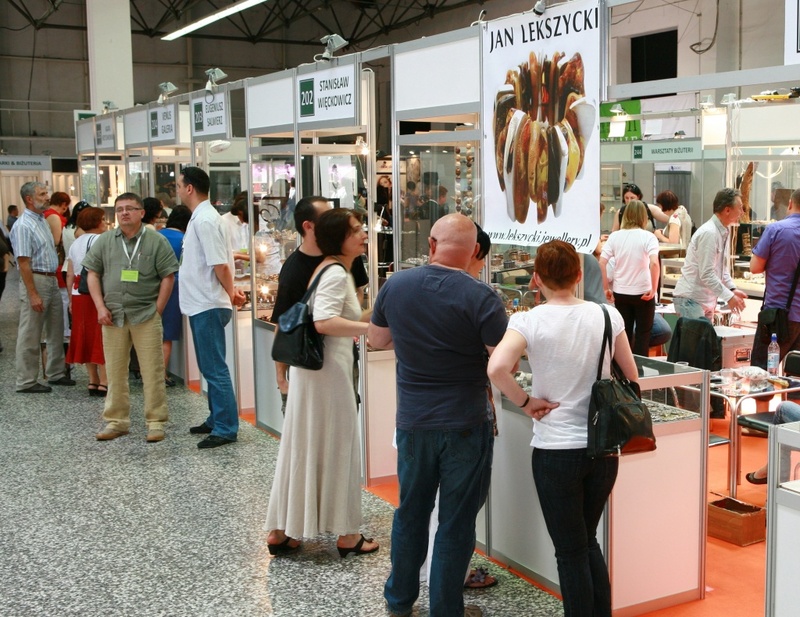 Jubinale, the youngest jewellery trade fair in Poland, has found its place in business diaries of many owners of jewellery companies, galleries, shops and jewellery wholesalers. 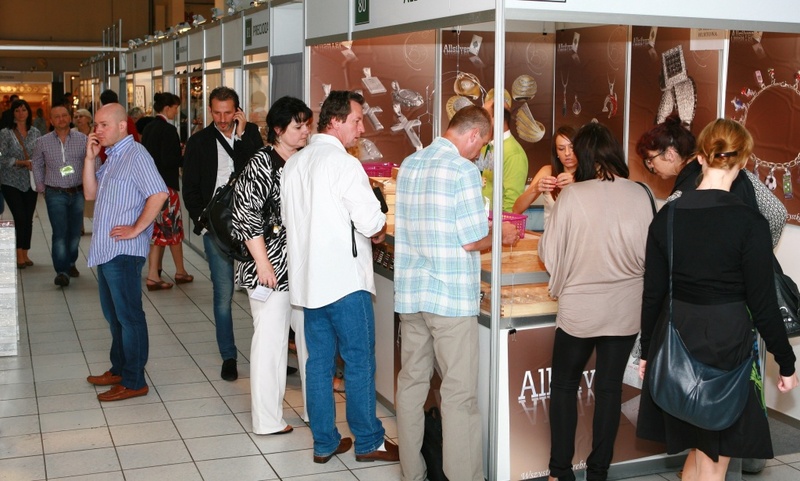 A continuous growth of the show is proved by the number of jewellery trade visitors which grows each year. 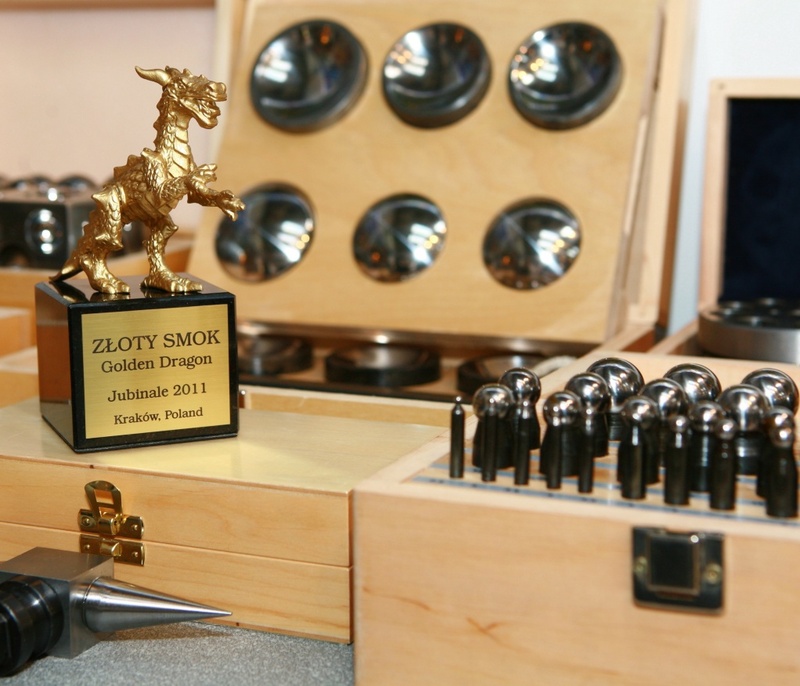 Four years is a period of time in which the fair has become a stable event and a well-known brand while its logo of a green dragon – a symbol of Krakow – is recognized not only in Poland, but also in Central Europe. 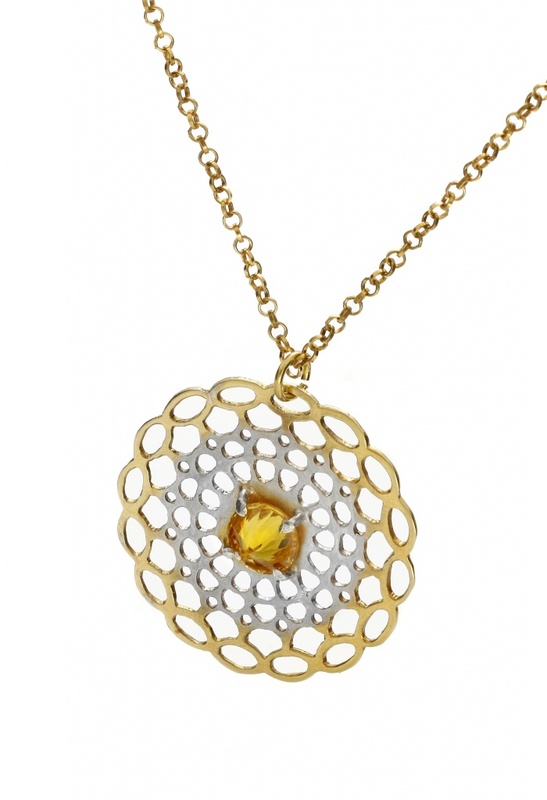 This year at Targi w Krakowie Exhibition Centre one could admire gold and silver jewellery, diamond jewellery, pearl and precious stone jewellery, amber and mineral jewellery, designer and fashion jewellery. 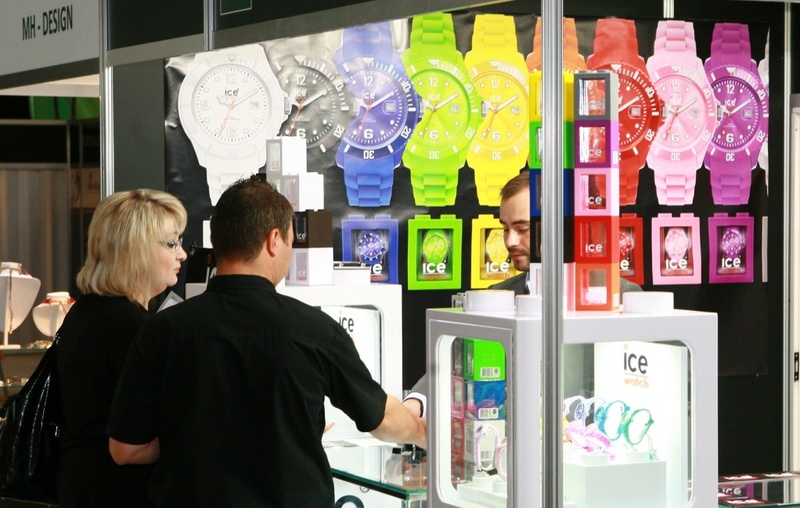 At Jubinale’11 there were also watches, packaging, security and shop display systems. Jewellery trade associations, other trade fairs and publishers also had their information stands at the fair. The exhibition was opened by Vice President of Krakow Elżbieta Lęcznarowicz, President of Targi w Krakowie (Trade Fairs in Krakow) Grażyna Grabowska, the Polish Jewellery Publishing House (JUBINALE organiser) CEO Andrzej Sadowski and the Chairman of the National Committee of Goldsmiths and Jewellers of The Polish Craft Association Janusz Kowalski. 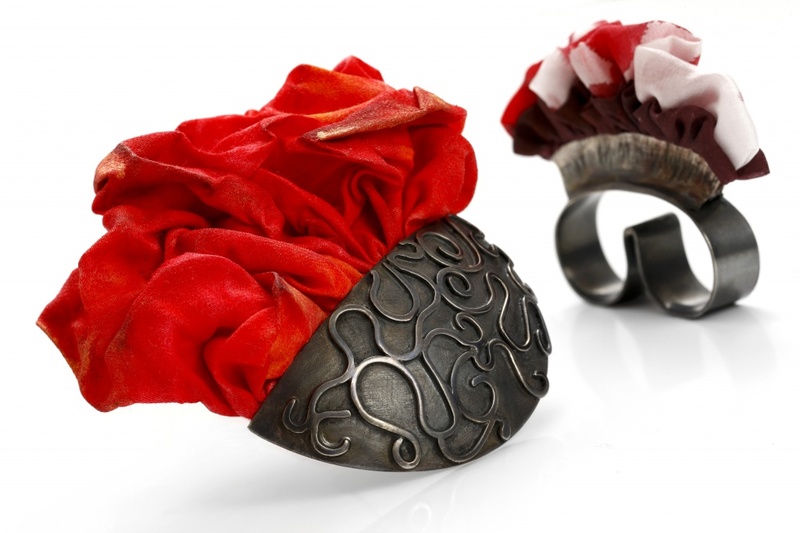 The Gem of Polish Jewellery winners, Magdalena Kieruzel i Joanna Stencel also received commemorative statuettes. The Organiser, from the event’s start, has been supporting young talented designers. 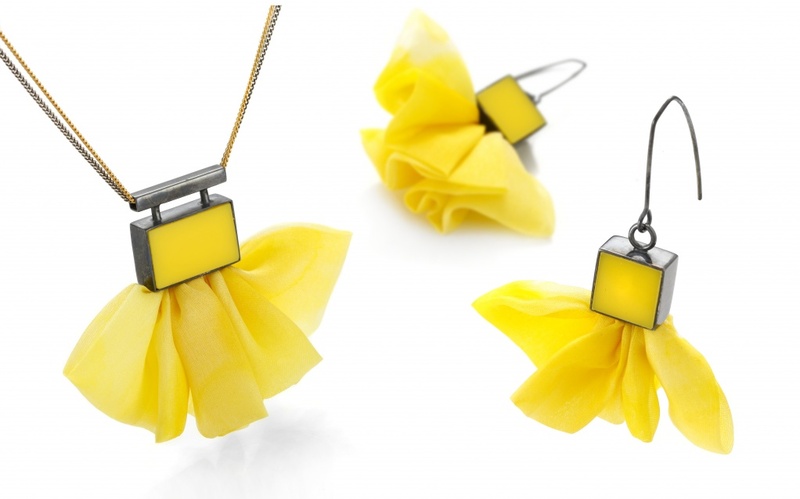 This time the title Polish Jewellery’s Trend-Scout went to Maria Głowacka, a graduate of the Academy of Fine Arts in Łódź. She also received a free stand at the fair and a free promotional campaign. The young artist presented her first commercial collections – named Watercolour and Geometrical, which also took part in the photographic session. Among many interesting show highlights accompanying the fair there was a new one – a photographic session with models, arranged in an open atelier. 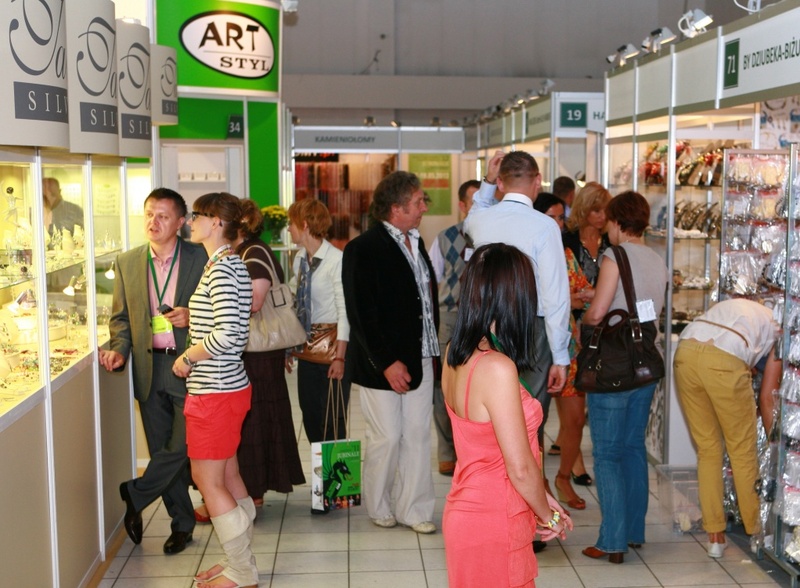 Jubinale exhibitors’ jewellery and Polish fashion designers’ collections were used at the session. Many professionals contributed to the final effect – stylists, hairdressers, make-up artists, photographers and computer graphic designers. A soutache technique workshop, organized for the first time at the fair, was very popular with both exhibitors and visitors. Those willing to learn this now popular technique could do so under the supervision of teachers from Antidotum Manufacture. The fair was accompanied by exhibitions in which jewellery was presented as an object of art, watchmaking craft, sculpture and photography. Trade visitors could also enrich their knowledge by taking part in professional seminars organized during the first two days of Jubinale. 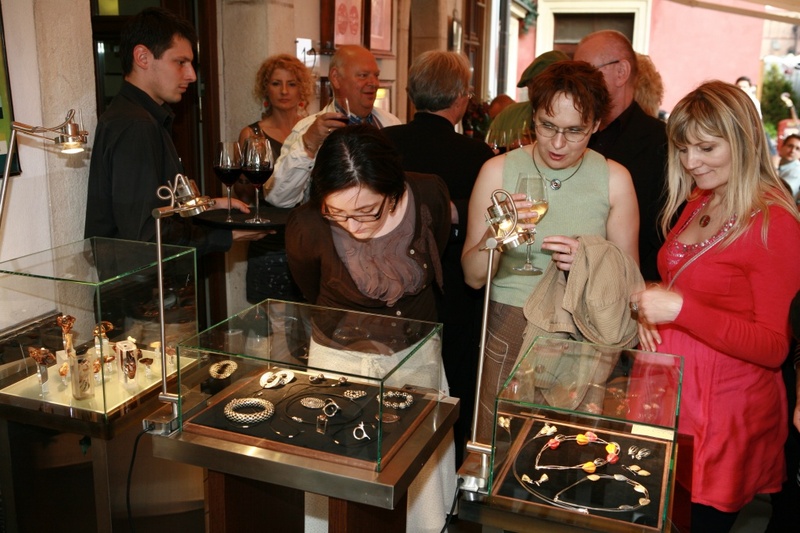 All visitors could ask for expert advice and free jewellery appreciation by the Association of Jewellery Experts and the National Committee of Goldsmiths and Jewellers of The Polish Craft Association. 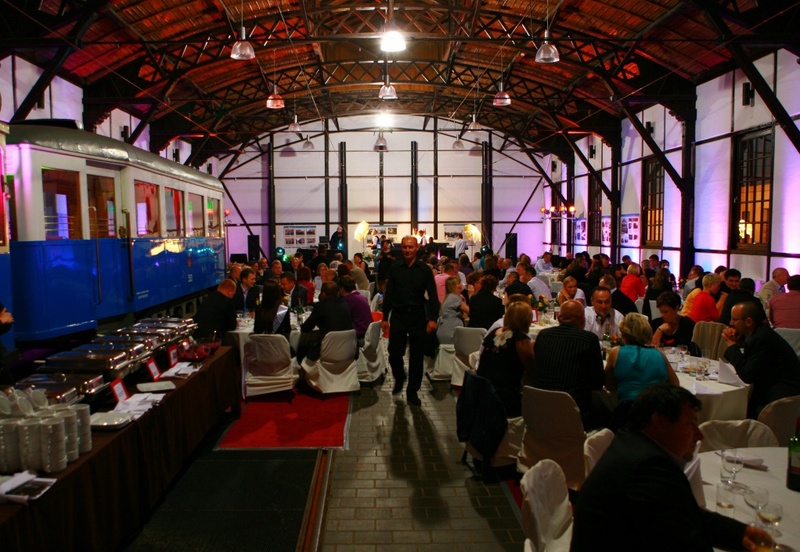 At the end of the first fair day an Exhibitors’ Evening was held in the heart of Krakow’s Kazimierz, in a surprising place – on the premises of an old tram depot, which is now a city engineering museum. The honorary guest of the Evening was Vice President of Krakow Elżbieta Lęcznarowicz. After ceremonial supper there was time for a “Golden Surprise” – Jubinale dragon, full of jewellery impressions, turned into gold. 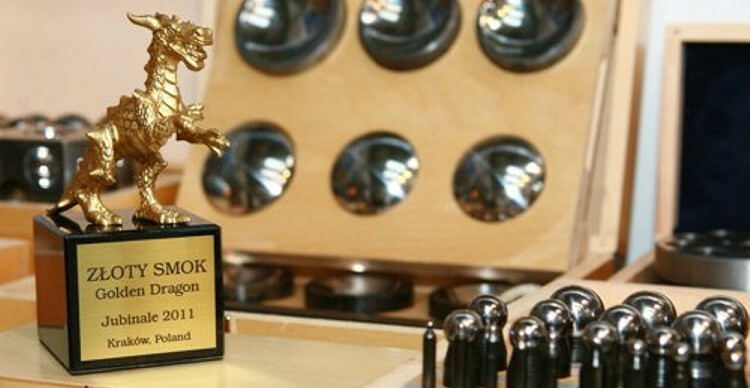 This is a new initiative by the fair organizer, who, in this way, wants tohonour exceptional jewellery companies. 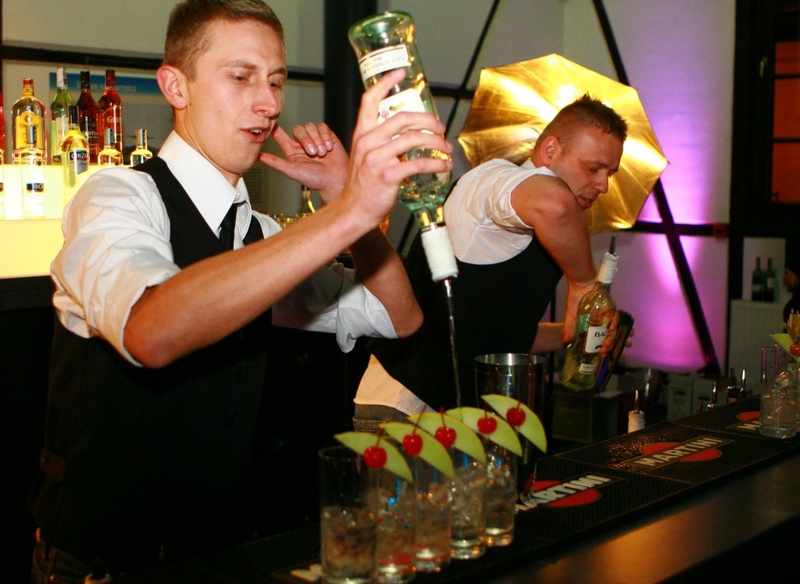 After the ceremony there was time for a surprise called „shaken – not stirred” which was followed by less formal party. On 11th of June Rores Model Agency organised a show exclusively for Jubinale exhibitors and their guests. Hungry for artistc thrills they met again in Kazimierz in Rubinstein Hotel, where they could admire a Parade of Krakow’s Designers 3K x 3M. 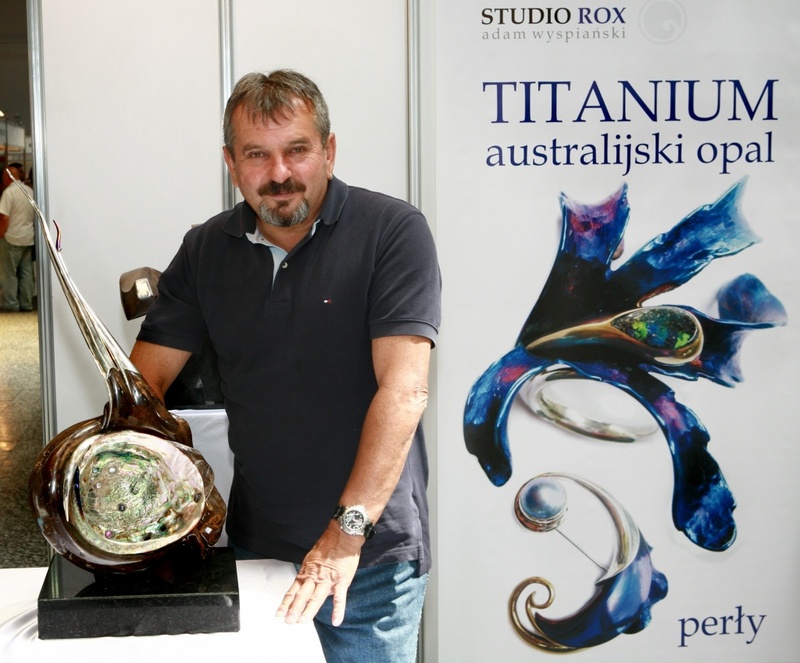 In the hotel lobby guests could see the works of jewellery designers – Eugeniusz Salwierz, Jerzy Szymula and Grzegorz Błażko. At the roof terrace of the period house, a fashion show was held presenting the collections of young designers from Krakow – Mariola Wróbel, Joanna Migacz i Gabriela Hezner. There was an extraordinary and surprising guest of this “artistic summit” – a former ambassador of Israel in Poland, Shevah Weiss..
From 10 to 12 June the fair gathered 155 exhibitors (from Poland, Lithuania, Italy, Germany, the Czech Republic, Slovakia, Austria, Greece and Cyprus). There were 29 new Polish exhibitors, 9 new foreign ones and 8 new exhibitions within the Designers’ Trend Platform. The venue had a footfall of 2157 visitors. Some visitors spent more time deciding what to buy and visited the fair more than once therefore the total number of entries registered by the identification system amounts to 2662. 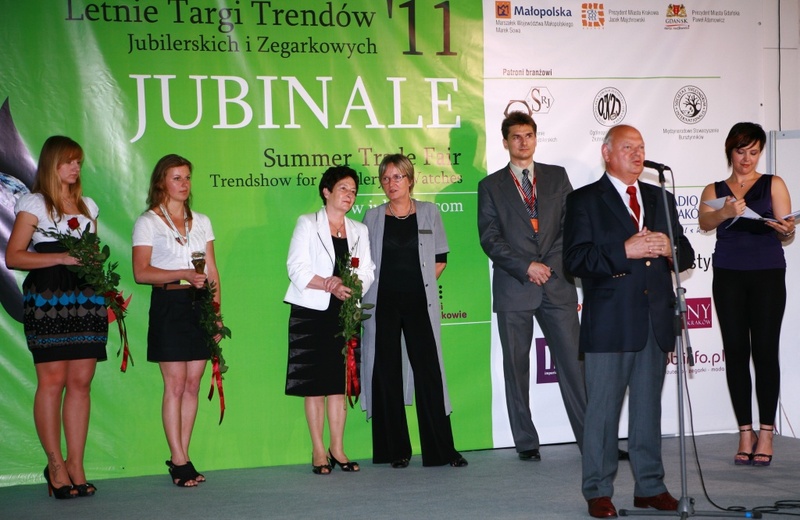 Jubinale was held in Krakow for the 4th time “and it’s possible to say what will become of a four-year-old” – as Janusz Kowalski put it at the opening ceremony. The show, which is developing in unfavourable economic times, is still loyal to the motto from its first edition: New Market – New Perspectives. 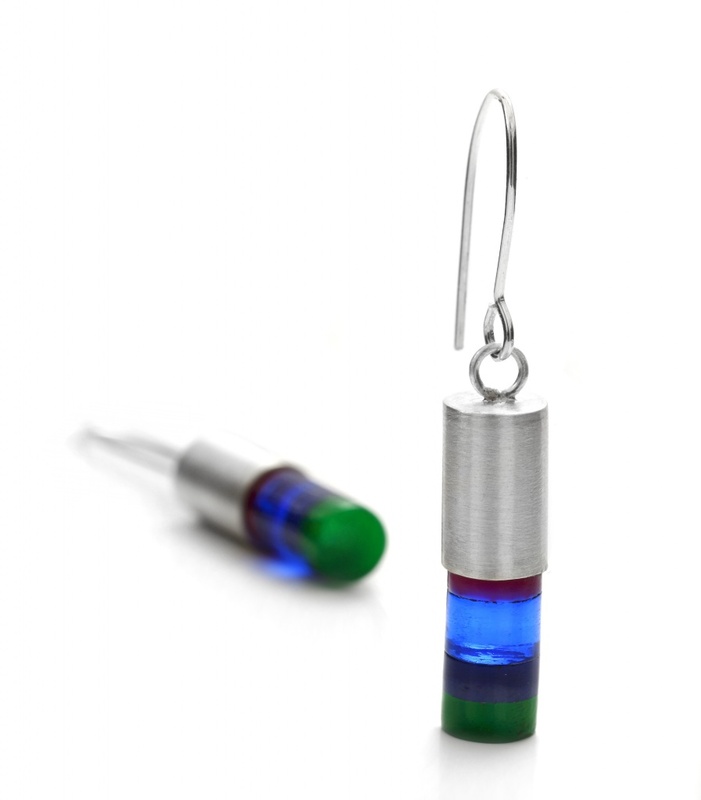 Jubinale exhibitors emphasise the fact that the fair really has opened new markets, filling up a time and location gap in the jewellery trade fair calendar. 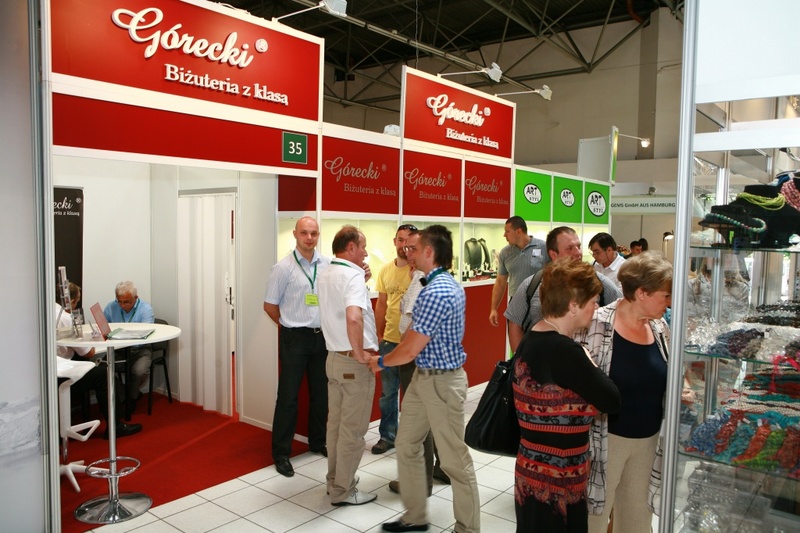 The fair has proved attractive not only for traders from Southern Poland, but also for those from neighbouring countries and from Southern Europe. A year long promotional campaign, its clear logo, perfect organisation and cooperation with exhibitors are unquestionably advantages of Jubinale. The show is still growing and nobody questions the point of organizing it and each new edition is more successful. The Organiser – Polish Jewellery Publishing House – would like to thank all the exhibitors and visitors, who by their presence at the venue, contribute to its success. Many thanks to trade media as well for the support in creating a professional trade fair brand and all the fans of the show who help organise it. The fair was held under the honorary auspices of Mr Marek Sowa – Marshal of Malopolska Province, Mr Jacek Majchrowski – Mayor of Krakow and Mr Paweł Adamowicz – Mayor of Gdansk.